New name, same great event. SIC has been announced as new title sponsor of the famous downwind showdown in Hood River, taking over from Naish and guaranteeing the future of one of the most beloved events on the calendar. 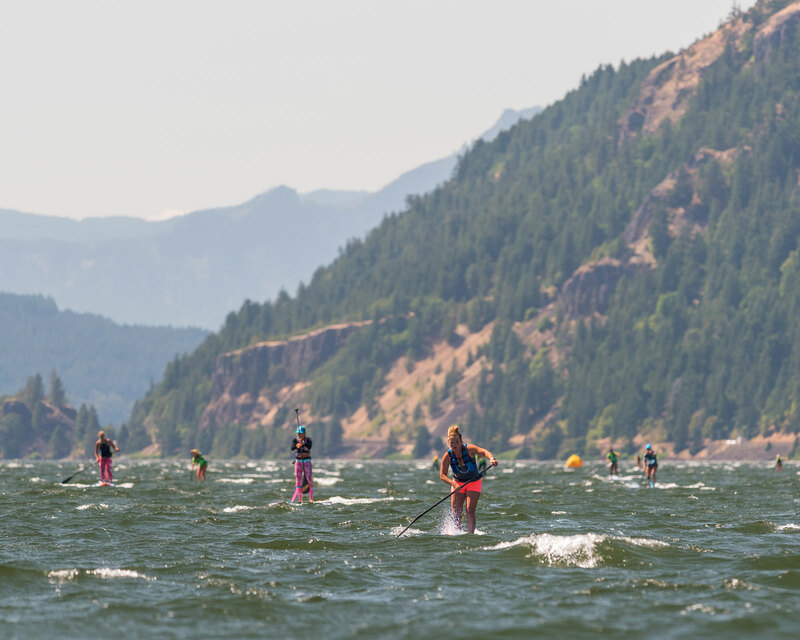 One of the most iconic events (and funnest weekends) on the calendar, the Columbia Gorge Paddle Challenge, has taken the initiative to give women the same opportunities as men by embracing the “up to 14 ft” board class. 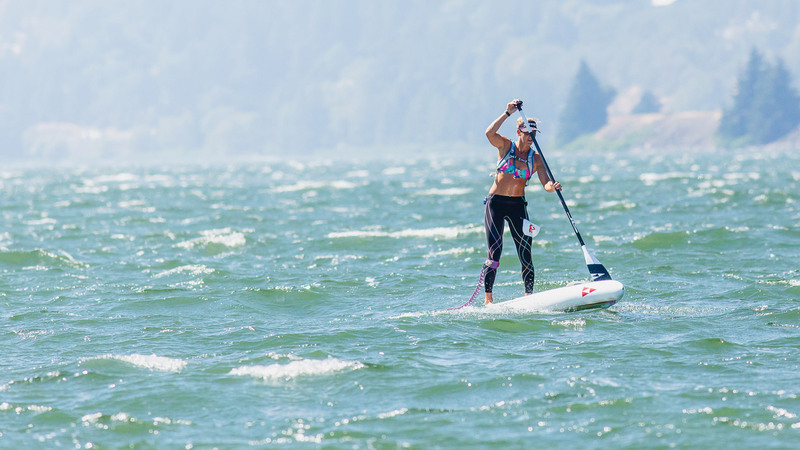 Beginning with the 2018 edition on August 18/19, both men and women will be gliding down the famous Columbia River Gorge on race boards up to 14 feet in length–an announcement that many leading athletes have applauded. 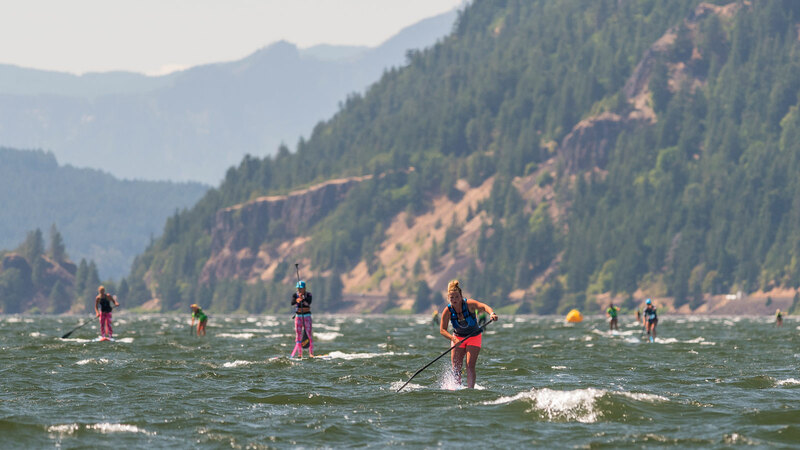 New Caledonia’s humble superstar Titouan Puyo has narrowly defeated Australia’s Lincoln Dews to claim the ‘Hot Lap’ race on day two of the Naish Columbia Gorge Paddle Challenge here in Hood River, Oregon. World number one Annabel Anderson took out the women’s Hot Lap ahead of compatriot Penelope Strickland. – Titou’s narrow win over Lincoln Dews and Arthur Arutkin caps off a remarkable weekend for New Caledonia. – Annabel Anderson saluted in the women’s Hot Lap after a characteristically-dominant performance. …fellow Kiwi Penelope Strickland was runner-up in a big 1-2 result for New Zealand. – In a great sign for the future of our sport, the ‘Grom’ and ‘Junior’ races also produced many impressive performances. – Take a look at the full results from Sunday’s Hot Lap showdown. …and relive the action with a full replay of our Quickblade Live Stream. You can also watch a replay of Saturday’s Double Downwinder live stream. 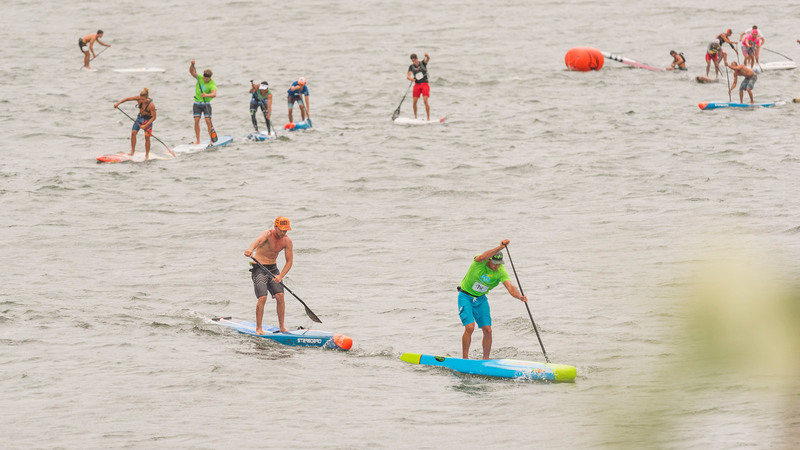 Check out this great little highlights reel from day one of the Gorge Paddle Challenge here in Hood River — thanks to Chris Aguilar from Quickblade Paddles for the rapid fire edit. Hope you enjoyed today’s live stream; we’ll be back live on Facebook tomorrow afternoon for the ‘Super Lap’ course race. – Bernd was in a league of his own today; he was the only paddler to finish under two hours. – Travis Grant and Titouan Puyo showed that experience still counts, finishing 2nd/3rd in another great result for Team NSP/QB. – The kids from New Caledonia, Clement Colmas and Noic Garioud, turned a lot of heads and showed they’ll be very hard to beat in another year or two. – Annabel Anderson outlasted Angie Jackson in an entertaining, see-sawing duel on the second run. – And young gun Annie Reickert from Maui showed she’s a strong name to watch with a superb third place finish. …check out the full results from today’s epic showdown. You can also watch a replay of our Quickblade Facebook Live stream.